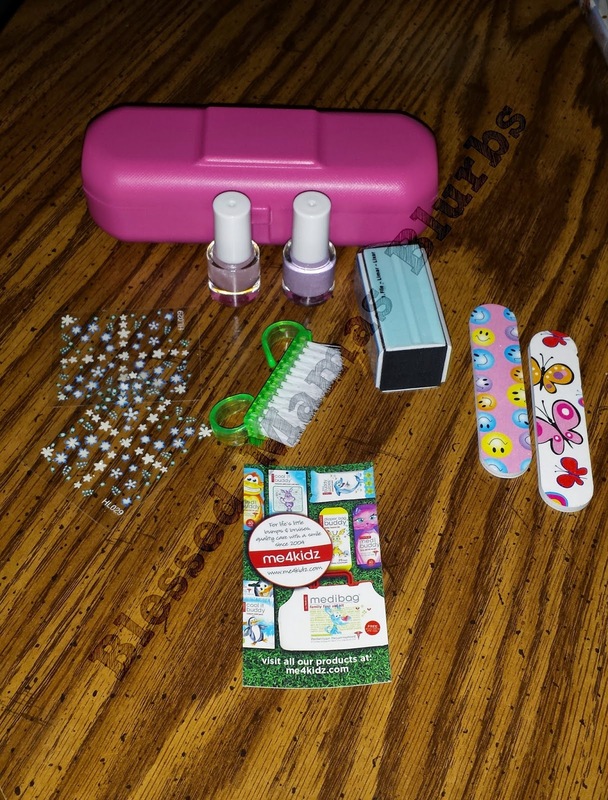 Nailbuddy Girls Starter Nail Kit. 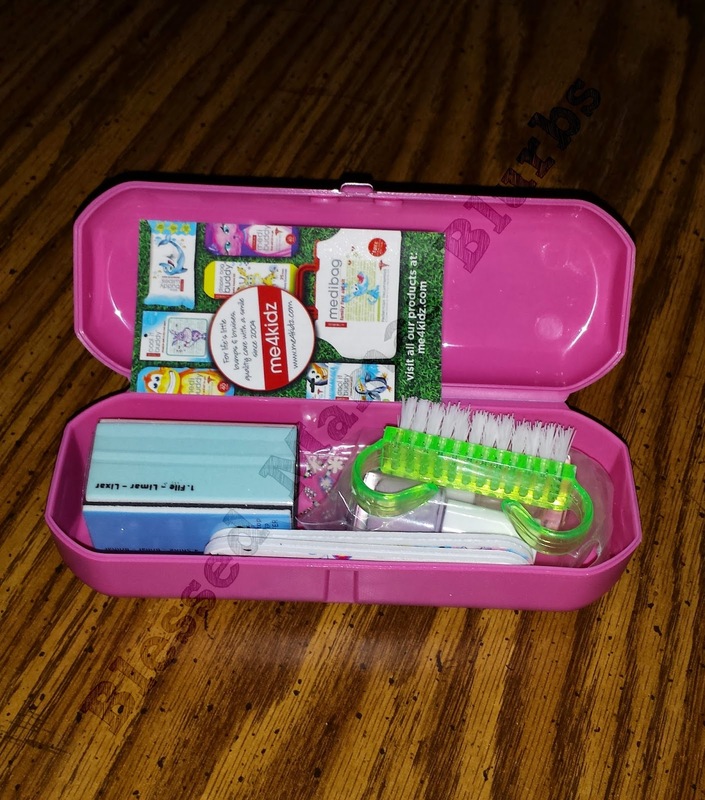 Includes all the little necessities a young girl needs to stay pretty! (1) Reusable and recycled carry anywhere case. me4kidz products make me smile. They are so simple yet so fun and affordable too! 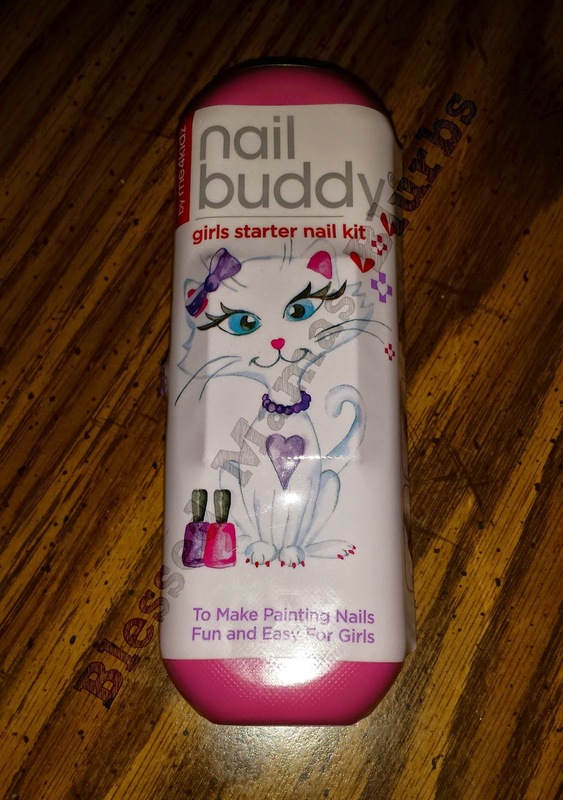 I was given the chance to review the nail buddy starter kit for girls. The packaging is so adorable and draws any little girl in. When I first received it, my 3 year old wanted to hold it and said the cat was pretty. I asked her if she'd like to paint her nails with me sometime and she told me yes. Of course she has never had her nails painted before and doesn't even know what nail polish is. All of the products come inside a neat little case. It comes in either pink or lavender. It's not too big and is just the perfect size for little girls. As you can see she liked everything she saw sitting on the table. She thought the stickers were pretty. 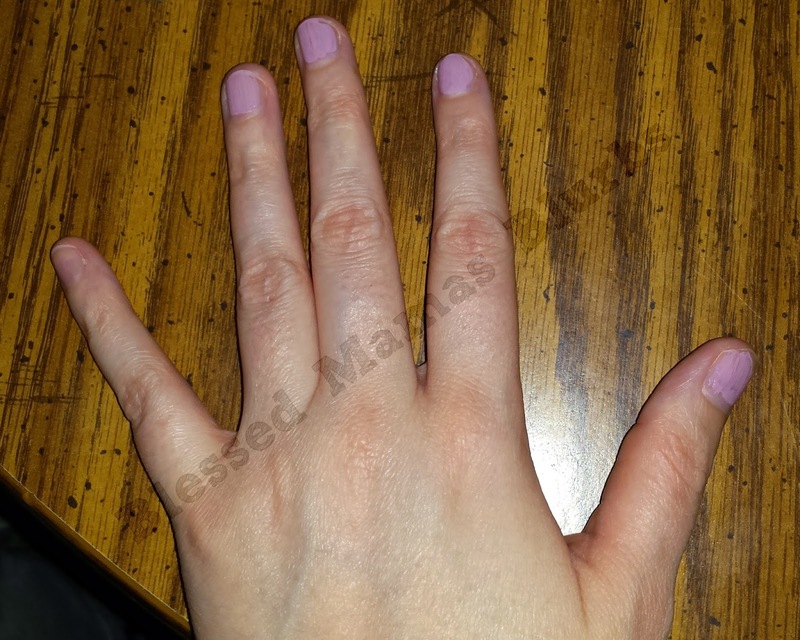 I let her pick out which color polish she wanted me to use to paint her nails with and she told me purple. 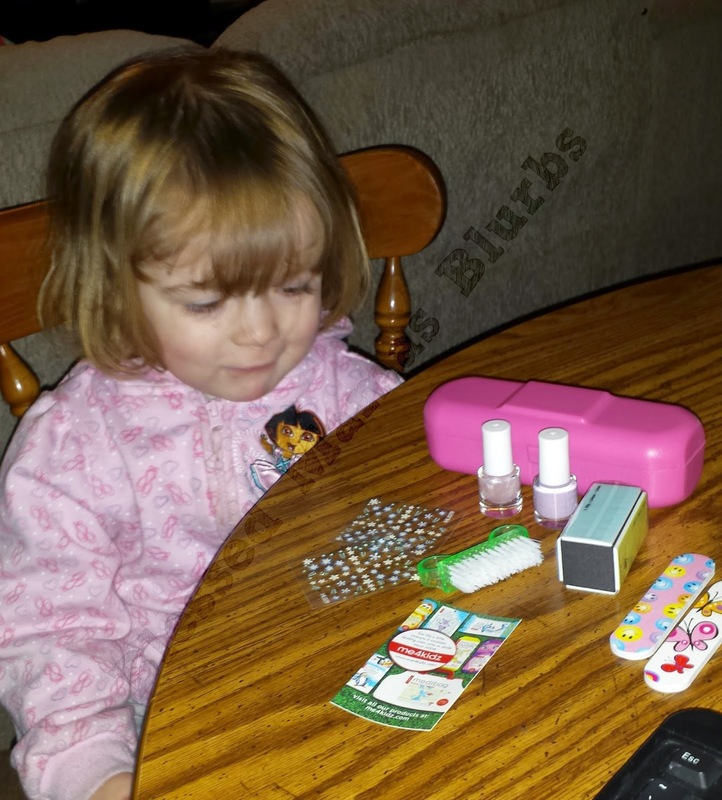 Afterwards, I put a couple stickers on her fingers once the polish dried. 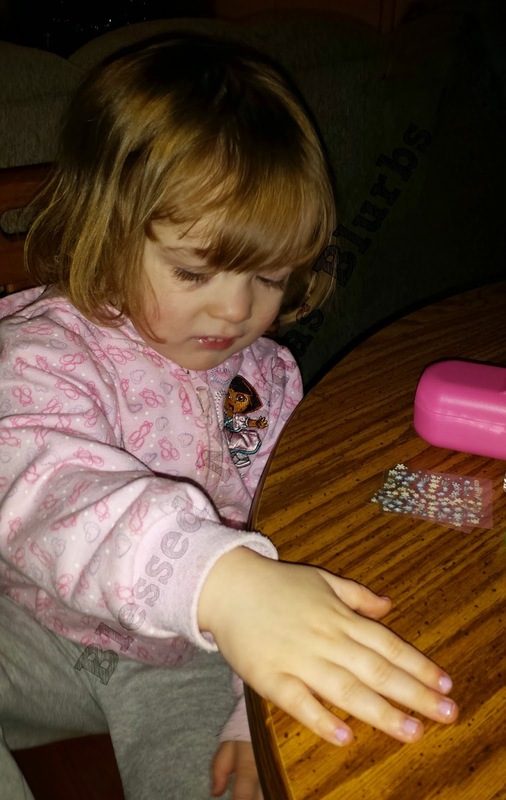 She picked up the butterfly nail file and asked me what it was. I picked up the other and demonstrated to her what you do with it. She did a pretty good job imitating what I was doing. I was also told that I needed to paint my nails. I had to paint one of mine first to get her comfortable enough for me to paint hers. She did a pretty good job sitting there watching me. She's still a little iffy about it but I think she did a great job overall. This is definitely going to lead to more fun moments with her. 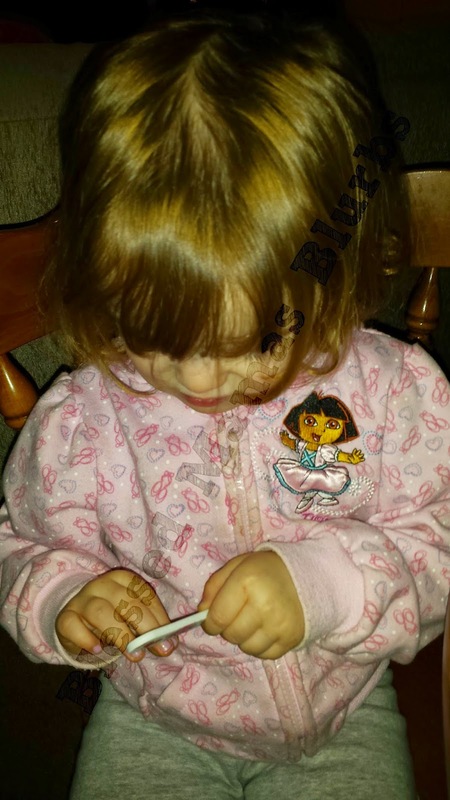 Her older sister isn't really into this kind of stuff right now, so I'm hoping down the road they can paint each others nails and spend time together like I did with my little one. me4kidz products are of excellent quality and are unique in many ways. This would make a great gift for any little girl in your life. It's affordable and fun all wrapped up in one little package. Definitely many giggles and smiles ahead. Disclosure: I received this product for free in exchange for an honest review on my blog. All opinions are my own. Regardless, I only recommend products or services I use personally and believe will be good for my readers.